The Alamosa Keen Gargoyle / ceramic provides perfect terrain features. The comfortable, lightweight, waterproof and breathable hiking boot made of nubuck leather handles every bump with ease. The EVA heel cushioning and the super comfy footbed cushion every step while the breathable membrane KEEN.DRY in any weather makes for dry feet. The 4mm lugs to provide the necessary grip on the ground. 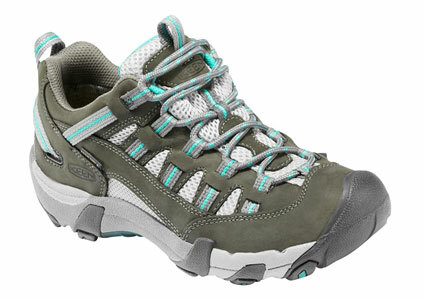 Note to fit women's shoe from Keen Alamosa: This model is about a 1/2 size smaller. Midsole in 2 degrees of hardness, compression-molded EVA and PU. 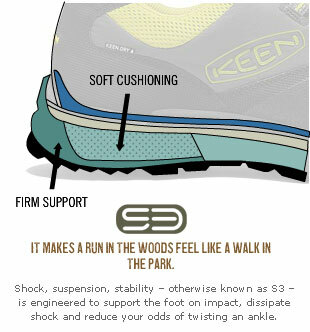 Shock, suspension and stability (shock, suspension and stability) - The S3 technology is designed so that the foot is supported during impacts, shocks are absorbed and you can not bend so easily. 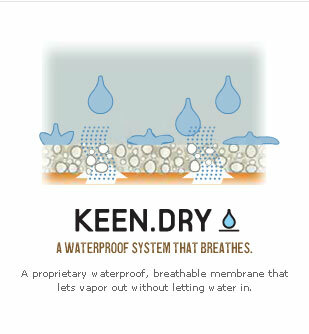 A proprietary waterproof, breathable membrane that derives moisture from the inside without water can penetrate from the outside. Waterproof and Insulated Collection The KEEN KEEN.DRY uses the waterproof-breathable technology to keep your feet stay dry and comfortable. To improve product performance, we recommend that you wash the shoes in cold water with mild soap or a mild detergent and in the air, but not near the heater to dry.